While out in the garage today I was fussing about the mess that all the boots and shoes make. 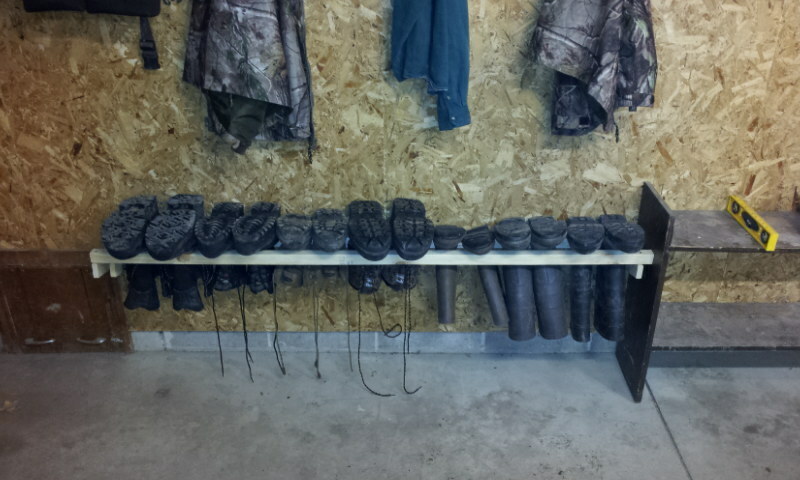 If you came in our garage and looked at the number of boots laying around you would think 20 people lived here! But, in fairness the boots all get used. We all need to have a pair of rubber boots for the barn. We all need a pair of winter boots to just go outside. We all need a pair of tennis shoes for running into town. And finally most of us have a pair of work boots. While thinking about an idea to organize the boots my youngest son came out and I included him in the thought process. We both had different ideas and with enough discussion we came up with what I think will work great. The pictures tell the story better than I can so I will just add some to this post. 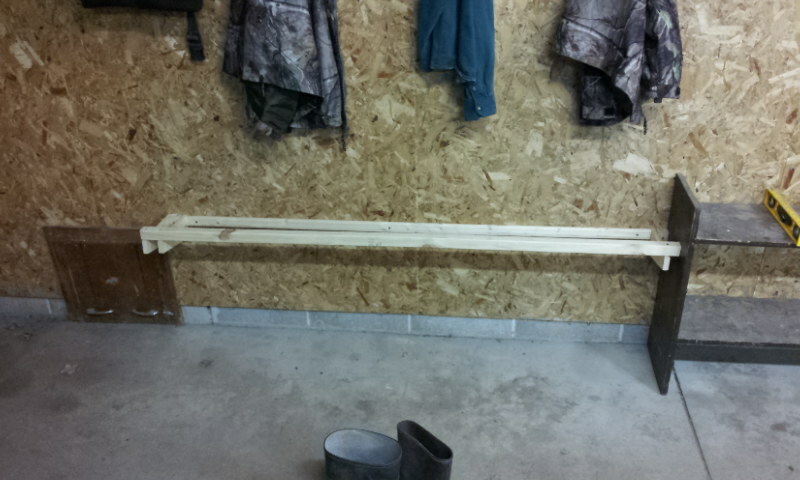 The brown shelf that is next to the boots now is we have been using to keep boots on. It works, but because of the flat shelves it can get pretty messy. We will still use it for tennis shoes and clean boots until I am convinced that the new rack will work. 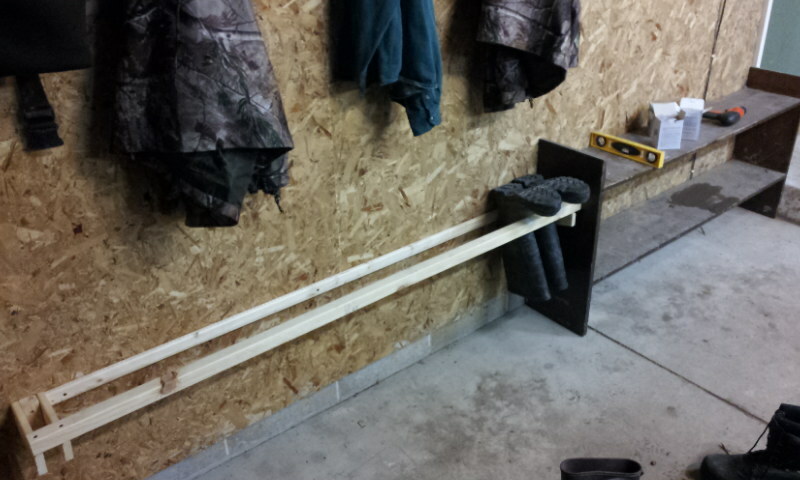 If it does, I will take out the brown shelf and extend the rack. Let me know what you think. If anyone is interesting in making their own let me know how it turns out. There is really no vertical support. 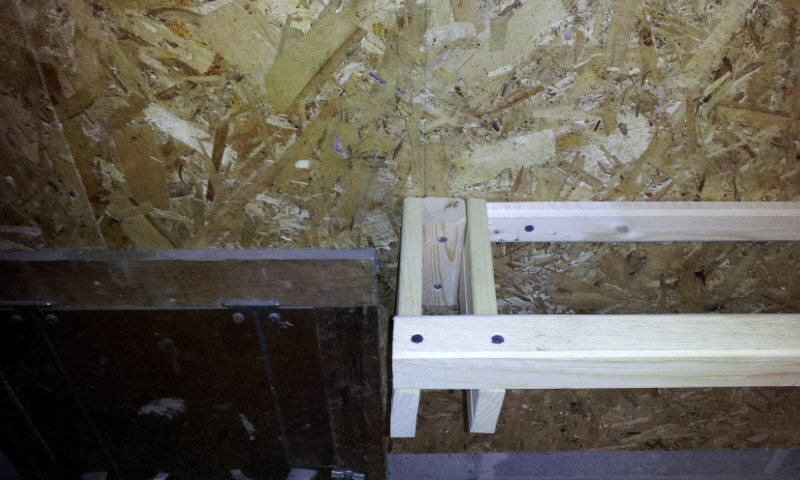 The support comes from the end pieces. If you look at my post about basement shelves I give more info about them. Those winter boots are sized 12-14 and heavy. You can see that the span of 6 feet does not sag at all.